Who may commence a Guardianship Proceeding? If you are concerned that a loved one or family member can no longer take care of their finances or are unable to make safe medical decisions for themselves, a guardianship proceeding may need to be commenced. Who has the authority to commence a Guardianship proceeding? M.H.L. §81.06 lists specifically who may commence a guardianship proceeding. §81.06 sets out some specific people who have authority to start a guardianship proceeding such as any distributee (meaning any person who would be entitled to the AIP’s estate according the NY laws of intestacy EPTL §4-1.1), an executor of an estate where the alleged incapacitated person is or may be the beneficiary of the estate, the trustee of a trust when the alleged incapacitated person is or may be the grantor or a beneficiary of that trust, or a person whom the person alleged to be incapacitated resides. There is a catch all provision to §81.06. Under 81.06(a)(6) “ a person otherwise concerned with the welfare of the person alleged to be incapacitated,” can commence a guardianship by filing a petition. In other words, anyone concerned for an alleged incapacitated person (AIP) can commence a guardianship proceeding. This includes friends, significant others, neighbors, even the mailman. Daredevil Dan has been living in an apartment in Fort Greene, Brooklyn. His mind has been beginning to fail him and he has been wandering around his apartment complex unable to find his apartment. Daredevil Dan’s friend, Jeremy, sees Daredevil Dan struggling and decides to commence a Guardianship proceeding. What does the New York Jets all time sack leader have to do with Elder Law? 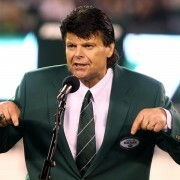 Recently Mark Gastineau, the New York Jets all time sack leader, told the public that he was diagnosed with dementia, Alzheimer’s disease, and Parkinson’s disease. Alzheimer’s disease is an awful disease that affects the brain and destroys memories and other important mental functions. He may not be able to recall family members or how to get dressed. It is an absolutely awful and debilitating disease. Alzheimer’s disease is a progressive disease and will eventually render Mark Gastineau incapacitated. There are two ways of dealing with incapacity. First planning in advance through advanced directives and second through a guardianship. 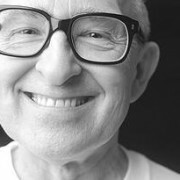 Due to this incapacity, Mark will have trouble taking care of his financial affairs and issues giving the doctor direction as to his treatment. With some basic estate planning, Mark could plan for this eventual incapacity. By executing a power of attorney and health care proxy a full guardianship can be avoided. These documents are called advanced directives. A power of attorney will allow an agent of your choice to take care of your financial matters. A health care proxy allows an agent to make medical decisions for a person if they are unable to give a doctor direction. If there are no advanced directives in place, a court hearing called a guardianship may need to be commenced to help Mark with his financial affairs and medical decisions. A guardianship may be commenced by a loved one or a friend. The person commencing the hearing is called the petitioner. The petitioner must prove by clear and convincing evidence that a person alleged to be incapacitated (AIP) has functional limitations and is in fact incapacitated and in need of a guardian. To learn more about guardianships or have any questions, contact Ira K. Miller & Associates.